Brought to you by World Champion Johnnie DelValle. 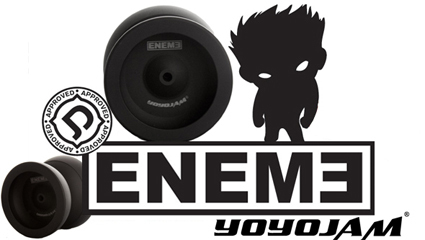 The ENEME™ is the full metal jacketed version of the Xconvict, over-tweaked, redefined, and packed with play. Highly acclaimed and undeniably well designed. A yo-yo built for long spins, competition, and stunning looks. MVP is the epitome of modern yo-yo play. Spin time taken to a new level, smoothness and stability others are yet to attain. Big, Bold, Wide, Powerful. MVP makes no excuses, the best rarely do. 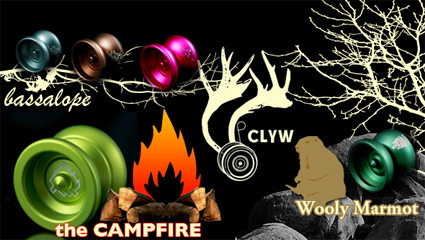 Now you can finally grab one of the most talked about yo-yos to date – the all new Campfire is a cheaper pocket sized offering with a lot of Caribou Lodge flavor. Now also available is the ever popular Bassalope (Signature Series of Sebastian Brock) and the very limited Wooly Marmot (Signature Series of Jensen Kimmitt). Caribou Lodge is limited and always SELLS OUT – don’t miss your chance to own one now! ARE YOU READY TO MEET THE LUNATIC? Get out of the way – a new FundaMETAL player is here. No one expected this. 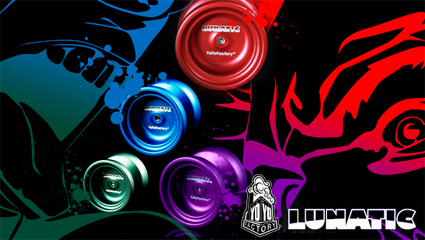 A YoYoFactory FundaMETAL that plays like a premium model just didn’t seem possible. Enter the LUNATIC. Weight is positioned in a matter to offer a balance of inertia and agility and a slight cut-away reduces friction during string tricks. You would be CRAZY not to add the LUNATIC to your arsenal.